"The great news is that law firms have readily available steps to dramatically reduce the effectiveness of social engineering ploys and they do not require Mission Impossible technology. According to the Better Business Bureau’s 2017 State of Cybersecurity Among Small Businesses In North America report, SMBS lost more than $79,000 to cybercriminals. Honestly, this shouldn’t surprise anyone; after all, as even the smallest businesses digitize more and more of their processes, the costs of breaking those systems will continue to skyrocket. According to Allen Gannett, everything we’ve been taught about creativity is a lie. It isn’t only for geniuses, whose inspiration arrives like a bolt of lightning. In fact, Gannett argues, the principles behind achieving success in any creative endeavor, whether it’s selling a painting or starting a business from the ground up, is quite predictable. In the wake of unprecedented rates of digital crime, with the cost and frequency of data breaches constantly skyrocketing year after year, companies all over the world have been forced to scramble for solutions. There’s an arms race running behind the scenes of every piece of technology we use in business today, as cyber security companies shore up their clients’ defenses against increasingly sophisticated digital threats. Sneaky Ways Cybercriminals Access Your Network and What You Can Do to Prevent It Today! Hackers prefer the little guy. The high-profile data breaches you read about in the news — your Facebooks and Equifaxes and T-Mobiles — are only the tip of the iceberg when it comes to the digital crimes being perpetrated day after day, especially against small businesses. 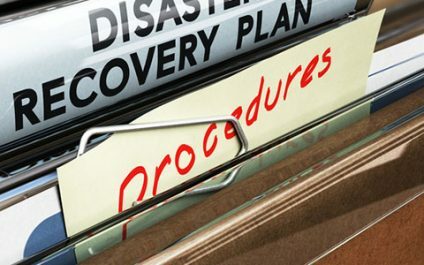 In talking about disaster recovery plans (DPR), it’s best to illustrate with real-world scenarios to help you understand things better. They offer concrete examples of successes and failures, and you can learn a lot from them. Here’s an example of a DPR audit and the lessons it offers. In the first 6 months of 2018, the worst cybersecurity breaches consisted of Russian grid hacking, over 140 US universities breaches, rampant data exposures, Under Armour’s app breach, and the VPNFilter malware. Unfortunately, attacks like these still occur every day and PalmTech wants to ensure that you do not fall victim to them. Entrepreneurs and business leaders often find that motivating team members is one of the most challenging parts of the job. Leaders seldom lack self-motivation — it’s so second nature to them that they get frustrated when a team member doesn’t appear to have the same level of drive and ambition. According to an article by SafeWise, "A burglary takes place about every eighteen seconds in the United States. That adds up to nearly 200 per hour, and approximately 4,800 every day." Fortunately, many burglars tend to avoid homes with security systems and this month's shiny new gadget comes in! Blink Home Security provides an affordable, battery powered camera to protect your entire home, inside and out.